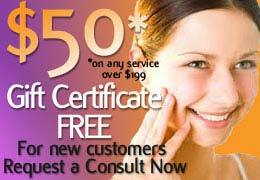 (At New Radiance Cosmetic Center of St. Lucie, we receive countless questions about our procedures. In this series of posts, we will attempt to answer the most common and important liposuction questions (to read Part I, click here; for Part II, click here, for Part III, click here). Have you made the decision to get liposuction done, but are unsure as to how to find a proper liposuction doctor to perform the procedure? Liposuction, a potentially invasive procedure, can result in serious complications if not performed by an experienced surgeon. Taking the time to select a qualified professional dramatically reduces the risks associated with liposuction — a professional not solely experienced, but experienced in cases similar to one’s own issues and needs, and thereby knowledgeable in the unique procedural details and risks associated with those issues. The intent of this article is to help the interested reader know what to look for in such a qualified professional, in order to increase personal safety and to achieve optimal results. While there are practitioners legally permitted to perform liposuction, they may not necessarily be surgeons specifically trained to do liposuction and therefore give results of a lesser quality. When meeting with your surgeon, ask if they have been trained in liposuction and if they are a board certified surgeon. You are likely to get good results from such surgeons, and also from dermatologists who have undergone similar training. How long has your surgeon been trained? Many can claim that they have received training, even if that training took place at a crash course attended over a long weekend. These characters often are inexperienced and are performing their on-the-job training on real people like you! Ask your surgeon: where were they trained? How long was their training? Did they undergo said training in their residency, or a fellowship? These are important distinguishing factors between a professional liposuction surgeon and a barely qualified novice, and questions such as these should be considered elementary before allowing someone to perform any kind of surgical procedure on your body. Just as the amount of training is a doctor has is of note, so is the the longevity of their practice. A well-trained doctor is not yet an expert, a denomination that comes with years of performing these procedures. Do not be afraid to ask: how long have they been performing liposuction procedures? Last among the criteria for potential liposuction surgeons should be: what different types of liposuction procedures have they done? Not only are there multiple types of liposuction (see Part 2), there are a multitude of body shapes. From male to female, from young to old, and from baby bumps to morbidly obese, you will want a doctor who has worked with all different sizes and issues; because this increases the probability that he has seen, and worked with, a body type that is similar to your own. Talk to your surgeon about different cases they have performed. Ask to see photos of their previous work, and specifically for body shapes that mirror yours. This will give you a good idea of the level of experience which they bring to the table, not to mention the type of results you can expect.